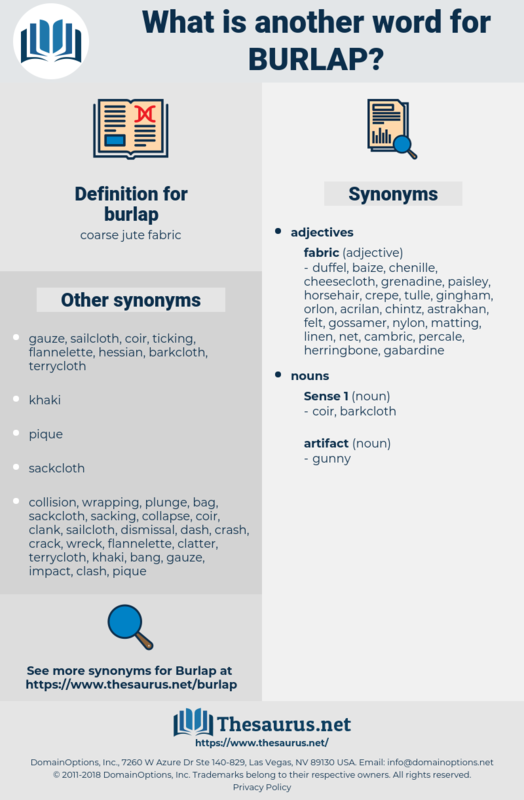 What is another word for burlap? 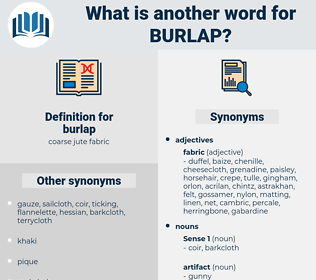 Where the burlap ended, a narrow shelf ran around the entire room, set with all sorts of household utensils, chiefly fiaschi of wine in straw cases. About the shed stood wooden frames from the center of which swung burlap sacks used for packing the clip.